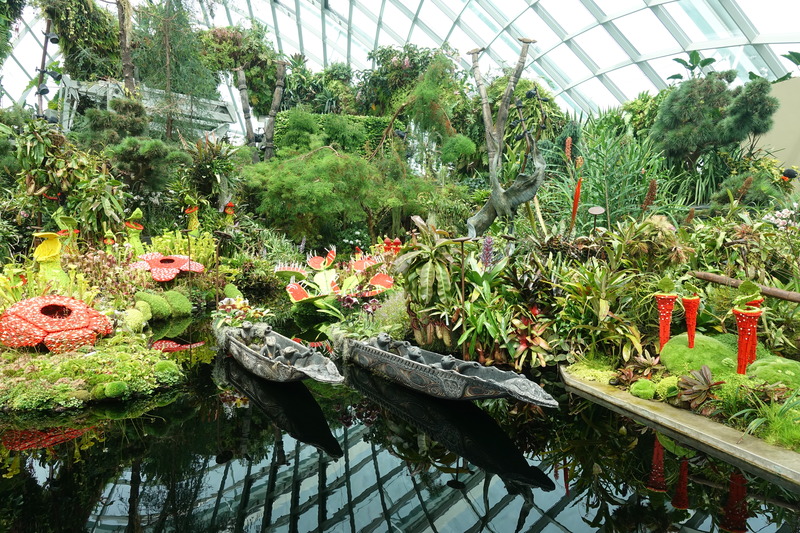 Once we arrived in Singapore, Cédric and I breezed through customs and got our luggage immediately, no surprise that this airport has been ranked best in the world for years! 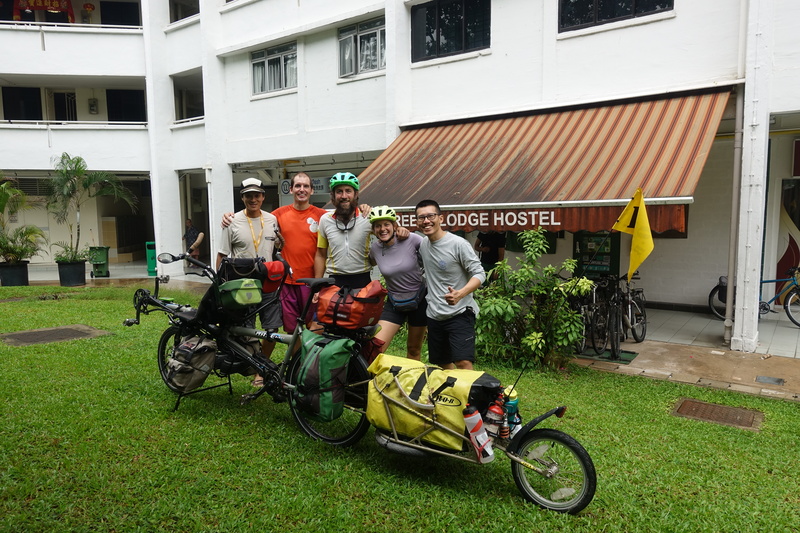 From there, we took a taxi to our home for the next three nights: Tree In Lodge, the famous hostel for cyclo-touring in Singapore. As soon as we dropped our gear in the room, it was time to set up the bike. 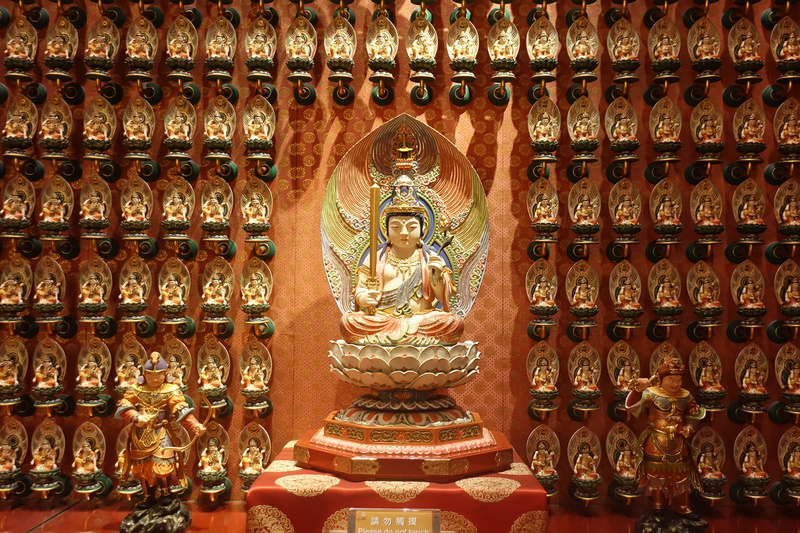 With us not being accustomed to the heat and humidity, assembling the bike was a very sudorific 3-hour affair during the evening. 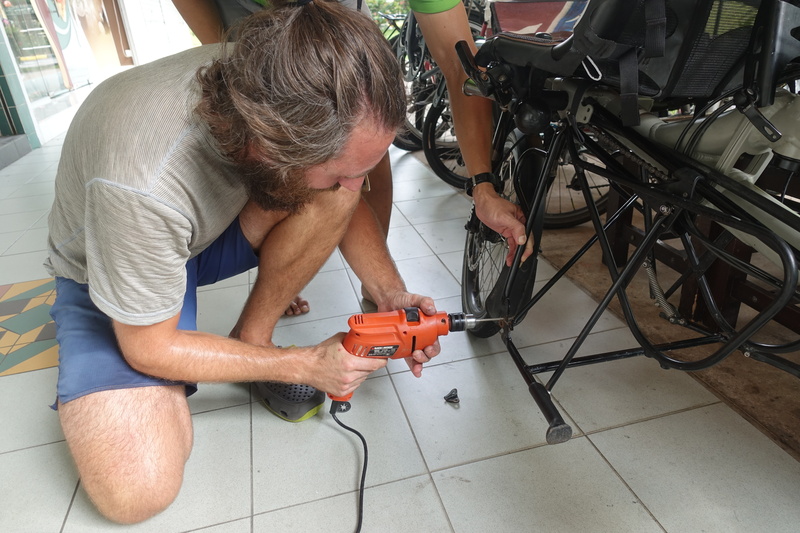 While putting everything together, Cédric noticed that a screw in the kickstand had broken – most likely not in transit, but the screw had signs of fatigue after the thousands of kilometers vibrating and the hundreds of repetitive opening and closing the kickstand. It’s not the most critical item of the bike, but the tandem is so heavy and long that it’s really tricky to just put it on a wall or a tree – our kickstand is able to hold 100kg and thus really practical. As luck would have it, one of the side of the screw was loose enough to remove it with a key, but the other side was completely stuck in the metal body of the stand. After attempting with all available means to force it out, we decided to surrender for the night. 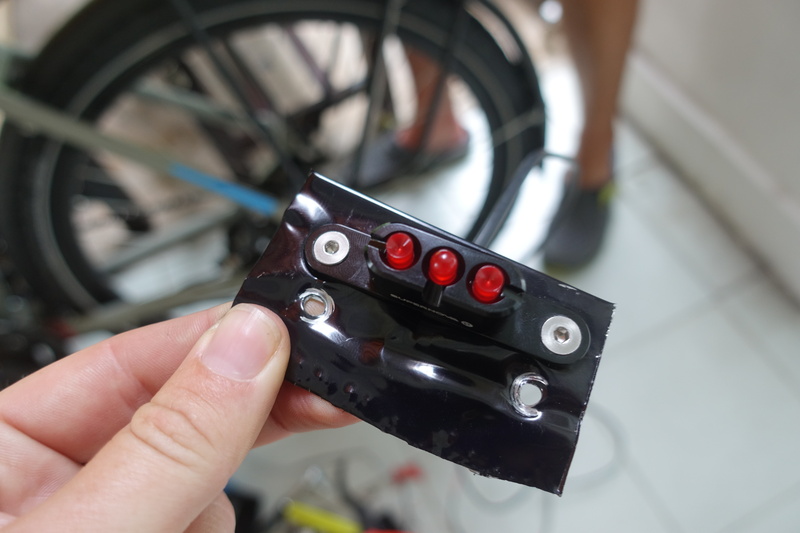 The next morning, Cédric and I continued our work on the bike: he and a manager from the hostel were trying to drill out the screw while I assembled our new rear dynamo light (the original one broke on our flight to Auckland). 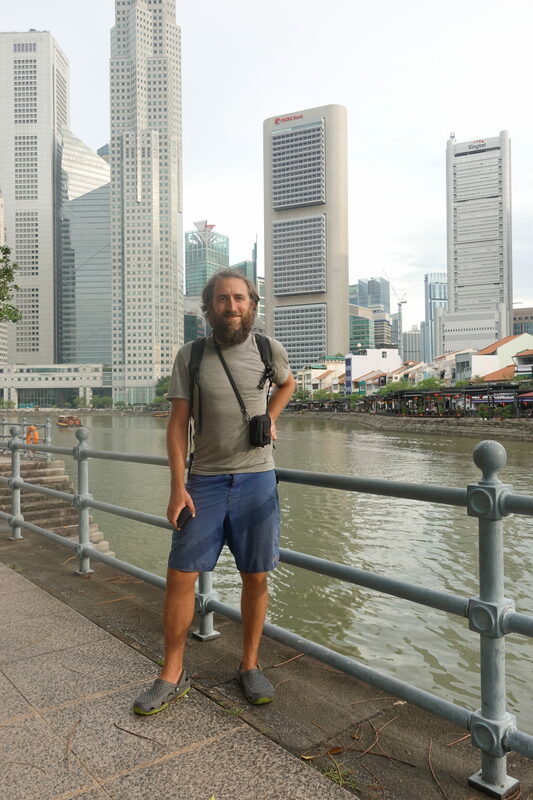 Since Cédric’s attempts weren’t so successful – we managed to heat the drill and break the bit after 1h fighting with the metal of the screw – and had drilled only about 1/10th of a millimeter, we were recommended to go to a bike shop in downtown Singapore to see if they could help. 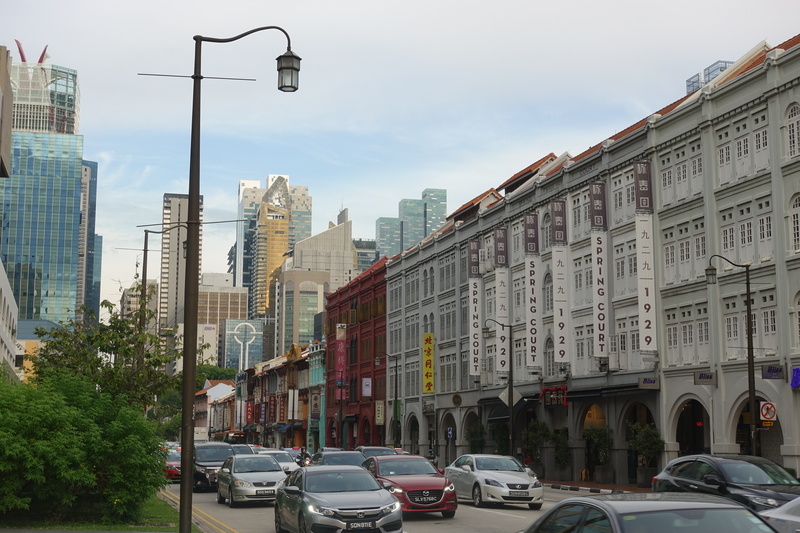 We used the opportunity to leave the hostel and start seeing some sights in the city – the afternoon was spent wandering around Little India, the Arab district and picking up necessary items for the next part of our journey. 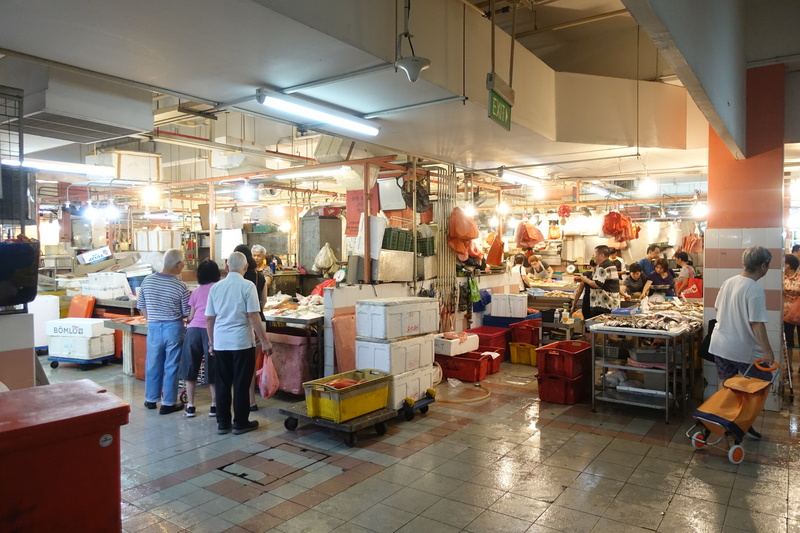 We found electronics shops for an additional battery pack and a small hard drive (too many pictures and videos for the computer!) and a Decathlon (our merino underwear DID NOT hold up and weren’t even used for cycling – a fellow cyclist, Nino, who ended his 3-year tour at the hostel gave them the awesome name of ‘Scheiß-breaker’ instead of Icebreaker). 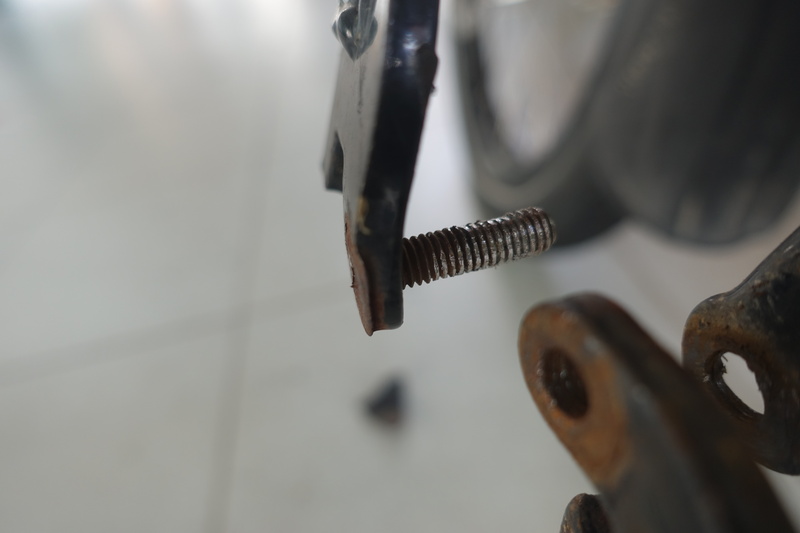 The bike shop also managed to get the screw out without damaging the kickstand – we don’t know how they did, it apparently also took them a while, but everyone agreed that Hase-Bikes uses top-quality alloys for its screws. In the evening, Cédric and I had dinner with SK, the owner of the hostel, and Nino. 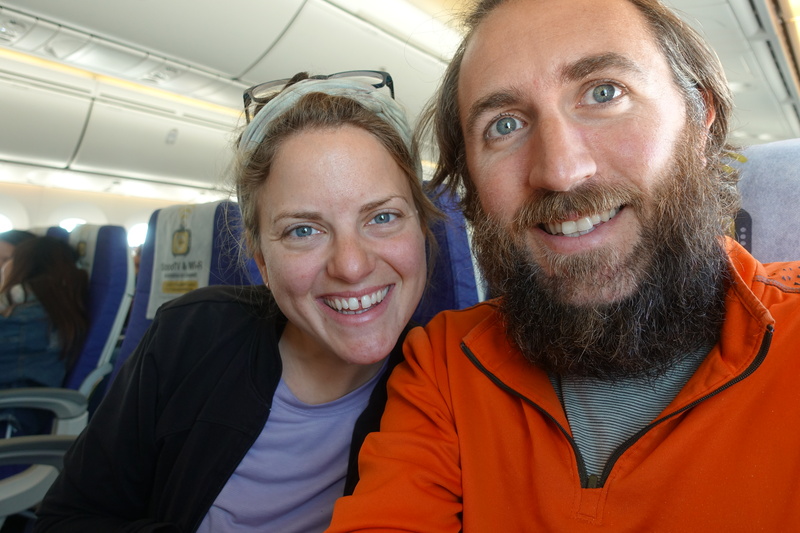 Both had a great deal of knowledge about the next phase of our trip and gave us a lot to think about in terms of routes and countries. 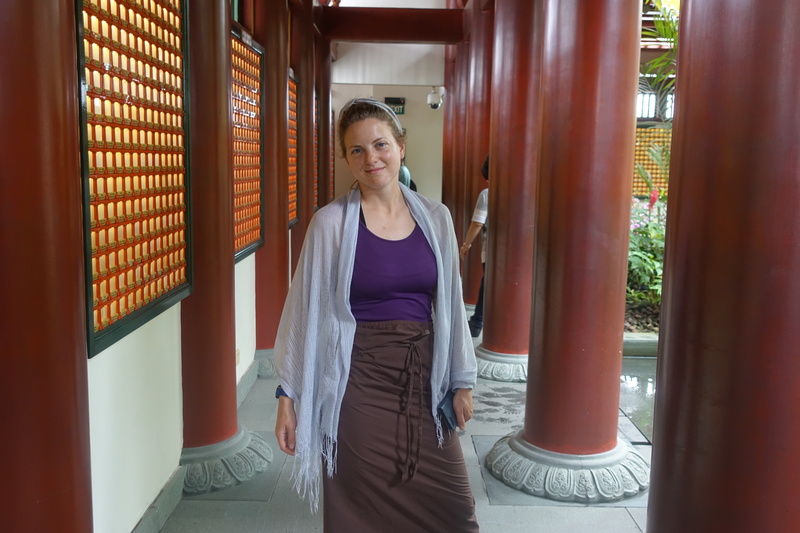 This made us consider shortening our stay in SE Asia to extend it in central Asia and in the Caucasus region. 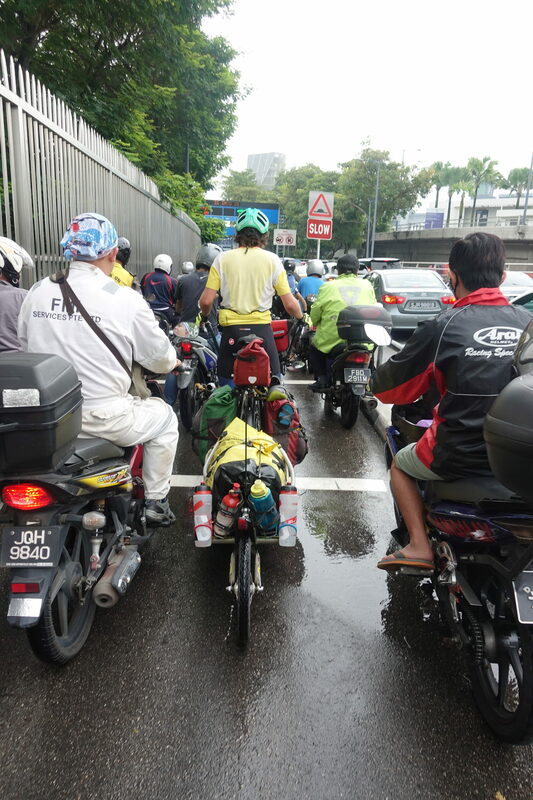 We had another day in Singapore, thankfully without any bike maintenance, but it began with a heavy morning downpour. 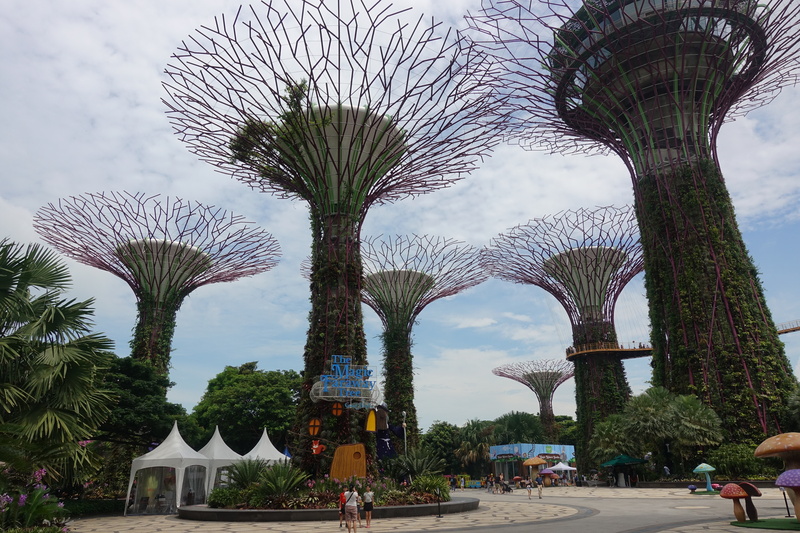 Once the rain stopped, Cédric and I ventured out into other parts of downtown Singapore, like Chinatown, Gardens by the Bay, and the business district. 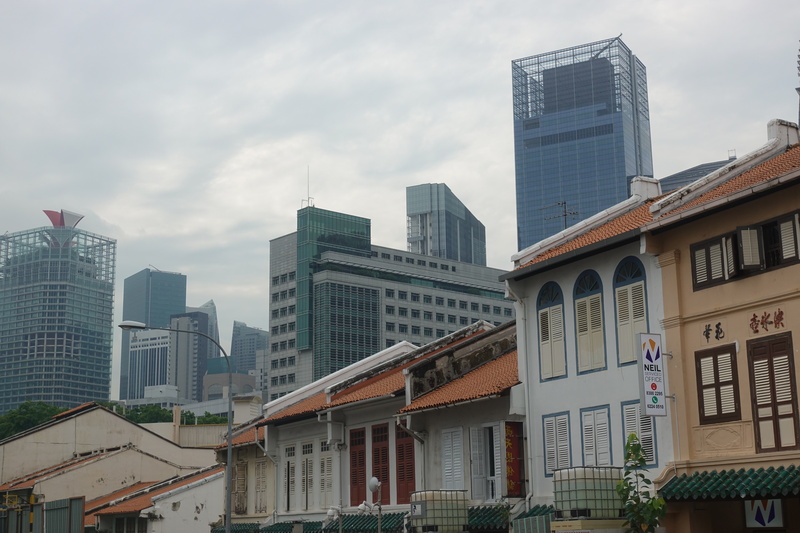 I liked the juxtaposition seeing the small shophouses with looming skyscrapers and apartment buildings in the background. 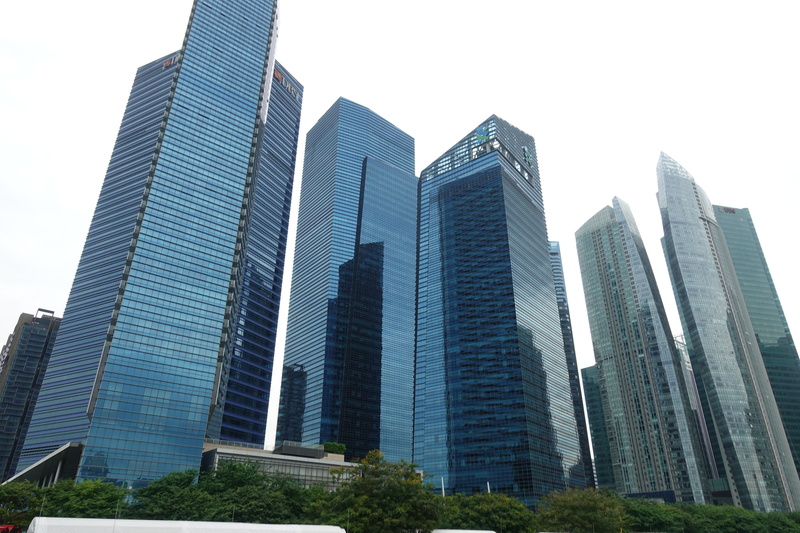 Cédric liked how Singapore was a good transition from Australia to Southeast Asia. 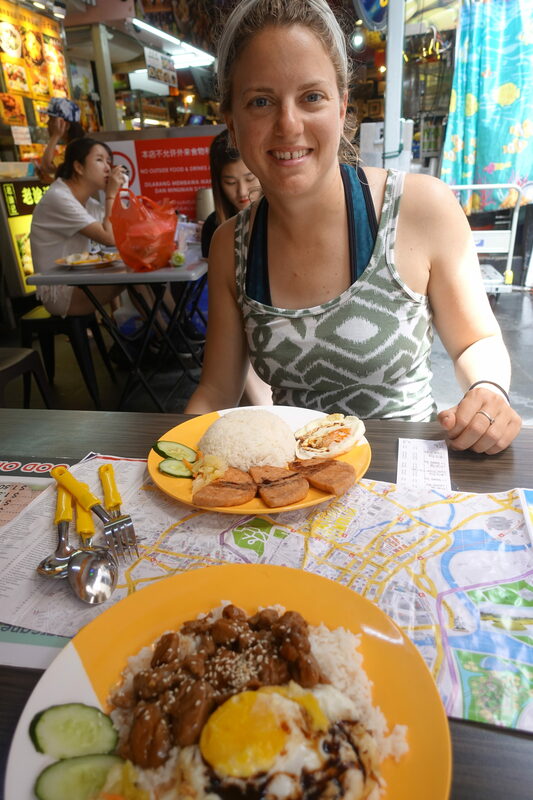 That night, we had dinner once again with the guys from the hostel (meals at the food stalls around the corner were about 3 to 4 €/$, much cheaper than NZ and Australia) and prepared all our things for the morning. 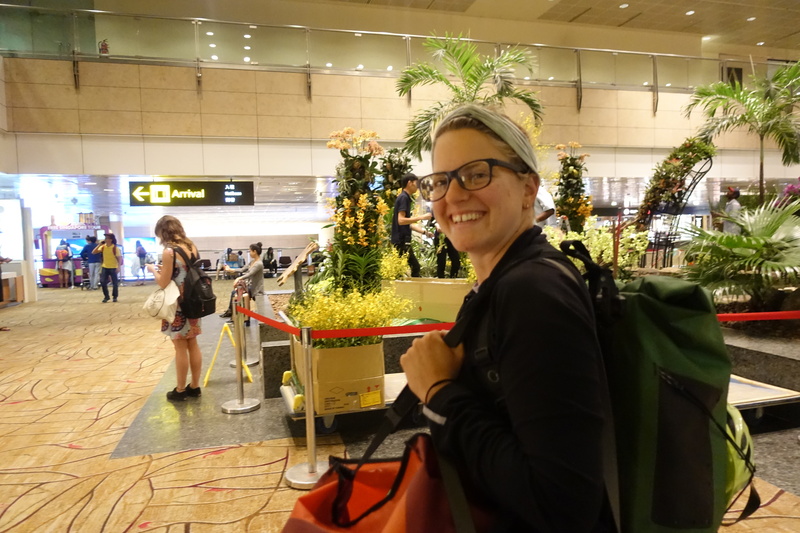 We were nevertheless happy to leave Singapore and be cycling on the roads again. 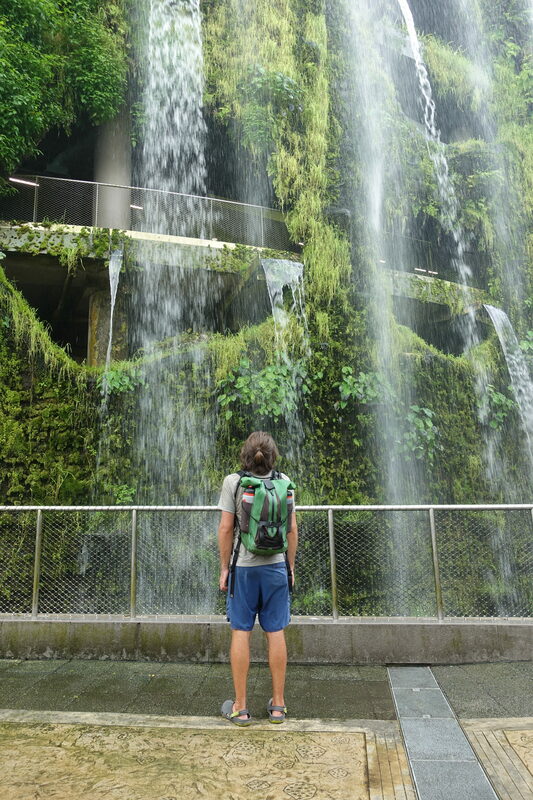 Although Cédric and I had planned to begin our journey to Malaysia early to beat the heat and humidity, the weather had other plans. 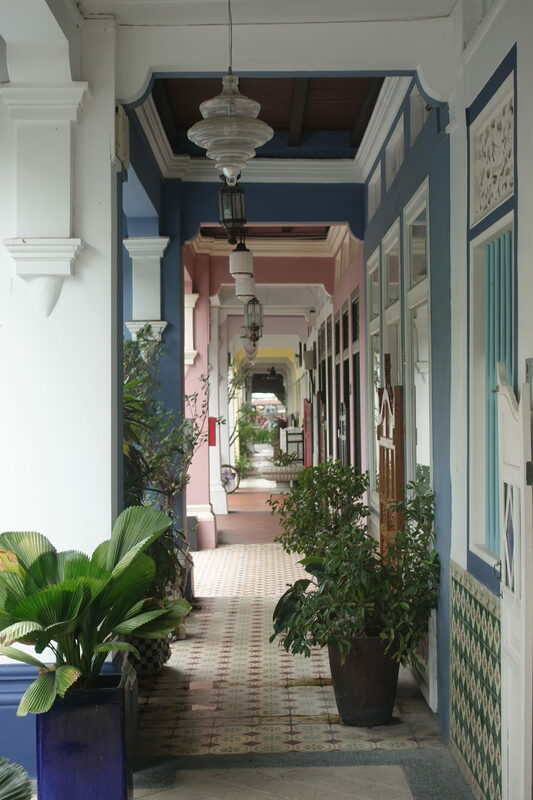 We awoke to yet another morning downpour that had partially flooded the hostel and cut the power, stalling our plans, but this give us the time to linger around and fill up with a second breakfast. 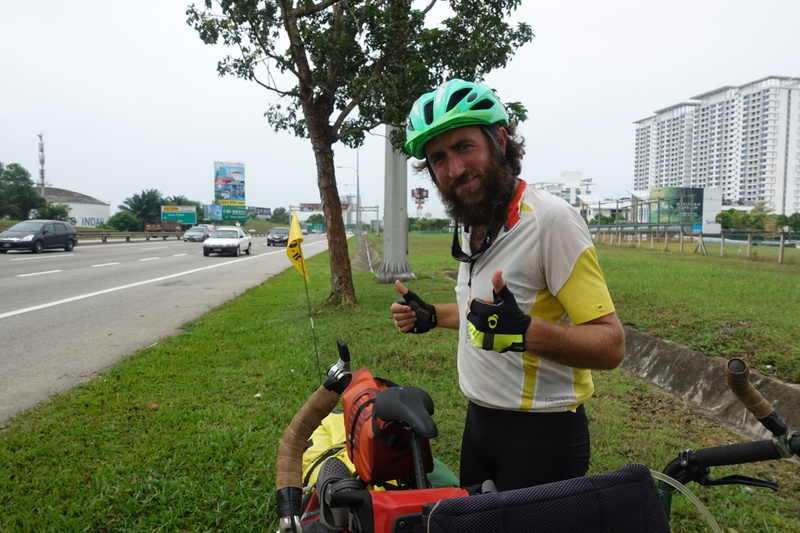 By mid-morning, the rain let up and Cédric and I bid our farewells as we cycled to the Woodlands/Johor Bahru border. 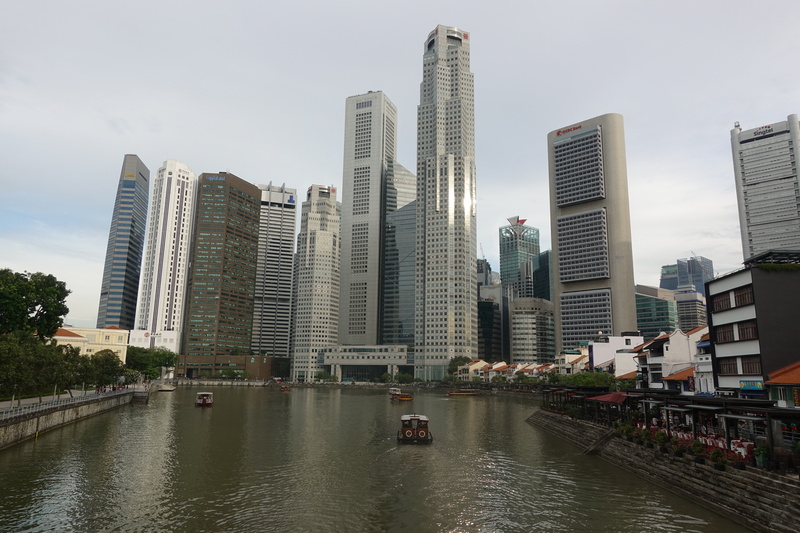 Surprisingly, we reached the border without getting lost or taking a wrong turn – the Singapore island is tiny but covered with big buildings and thus roads – and then joined the hoards of motorcyclists crossing the border. 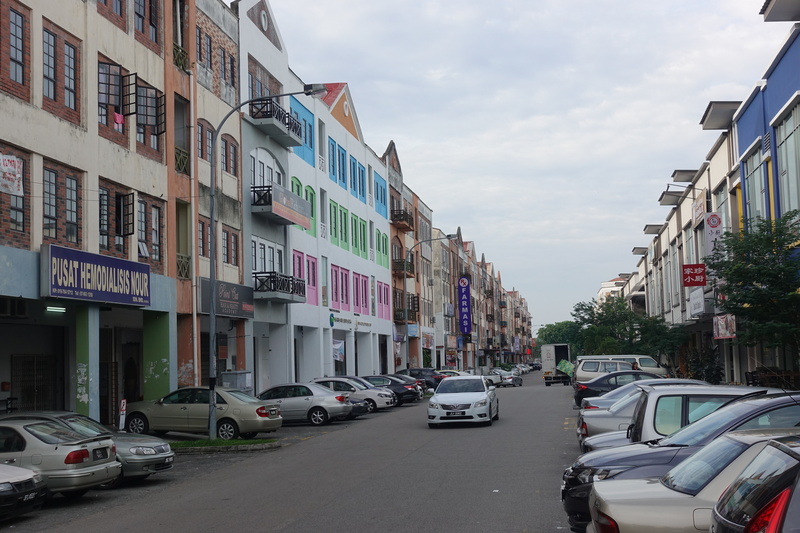 The second part of the day, now in Malaysia, became extremely hot once the clouds disappeared. 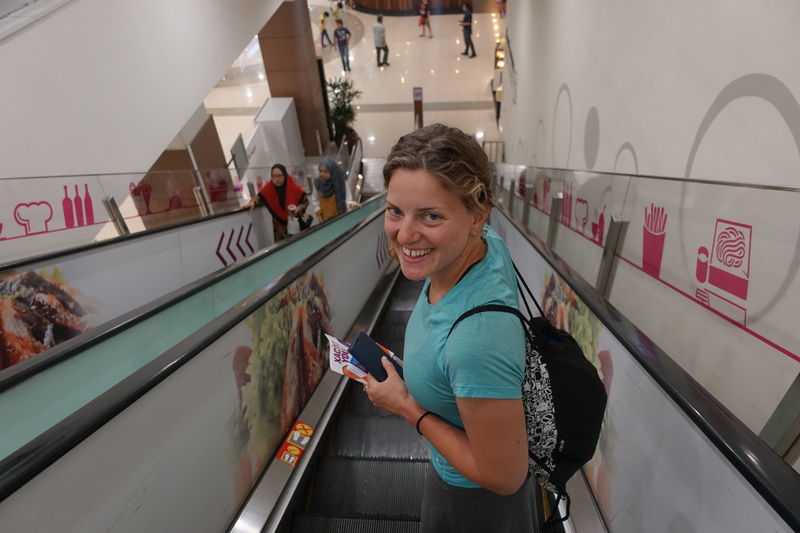 We had to navigate busy roads and expressways but finally made it to our hotel in Kulai. 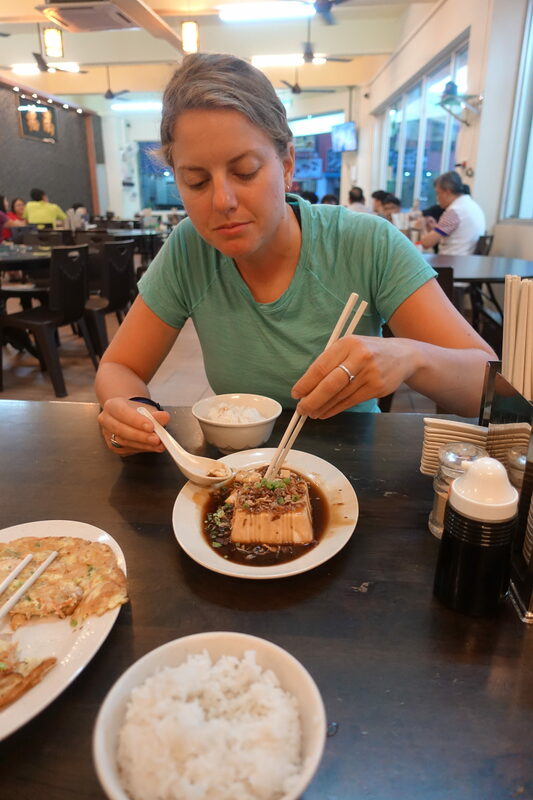 Once showered, we explored the city (goal: find a SIM card) and ate dinner #1 (Subway…a bit shameful in SE-Asia but we couldn’t find anything else at 5pm), then dinner #2 (a big chunk of tofu at a Chinese restaurant). 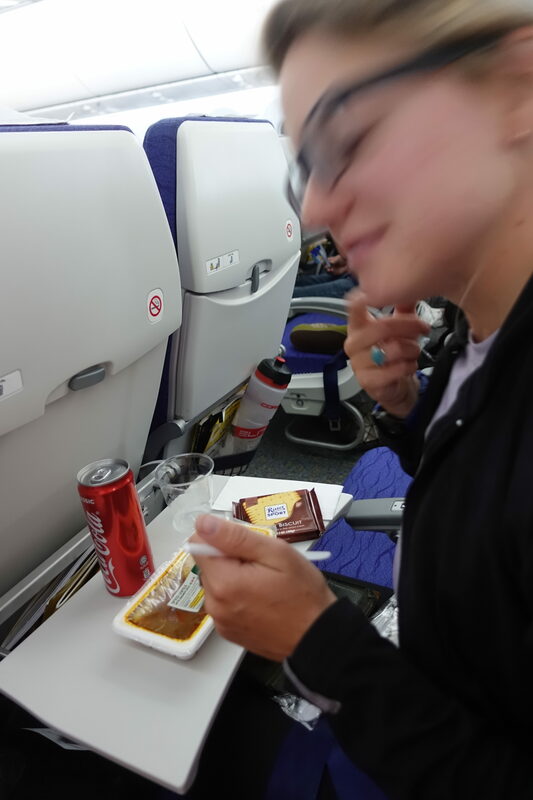 First day in Malaysia and quickly realizing that the Ramadan will make the next few weeks a little more challenging with food….